I got this data from CDC Wonder, and I let them do the population rate calculation, so I don't know if they did it right, but let's assume they did. 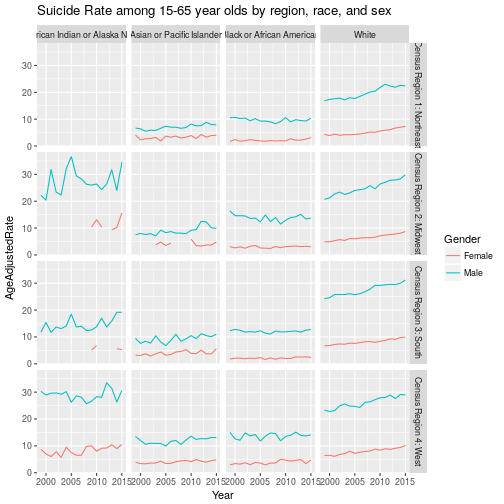 Here are suicide rates for Males and Females ages 15 to 65 across the whole US, by race. Notice that White rates are higher than Black or Asian rates, and that they've been trending upwards steadily since 2000.